Microsoft was founded in 1975 and now operates across more than 190 countries. Apart from being the maker of Windows OS, it is a well known and leading cloud player. Technology industry has seen competition growing very fast in the recent years and apart from Google and Apple, there are several cloud players including Amazon, IBM and Oracle whose products and services compete with that of Microsoft. Its revenue in 2017 grew to 90 Billion dollars rising from 85.3 Billion dollars in 2016. Increased revenue from cloud businesses as well as growing range of products and services are important reasons that have helped Microsoft find growth in the recent years. Apart from introducing hundreds of Azure services, the brand has focused on AI. Microsoft’s products including its Windows OS and Microsoft Office are meant to improve efficiency and productivity. While data and AI have seen massive growth in the recent years, the gaming industry has also grown enormously. Microsoft is currently investing in all these areas to achieve superior growth faster. This is a SWOT analysis of Microsoft analysing its Strengths, Weaknesses, Opportunities and Threats. Microsoft is a global brand operational across more than 190 countries and this is a major strength of the company. Global presence reflects higher sales and a vast reach. Fast technological growth has led to increased use of computers and digital technology throughout the world. A very large proportion of computers on the entire planet use the Windows Operating system. More than 500 million devices all around the globe use the Windows Operating system. Its Microsoft Office software is also being used on a very large number of devices globally. More than a hundred million people globally use the Microsoft Office commercial. Microsoft has a very large product portfolio as compared to its nearest competitors including Apple. This is also a major strength that helps achieve higher sales. Its large product portfolio includes operating systems; cross-device productivity applications; server applications; business solution applications; desktop and server management tools; software development tools; video games; and training and certification of computer system integrators and developers. The brand also makes and sells devices including PCs, tablets, gaming and entertainment consoles, other intelligent devices, and related accessories, that integrate with its cloud-based offerings. Microsoft offers a very large army of services including cloud based services that offer software, services, platform as well as content. It is also a prominent name in the world of online advertising. Microsoft’s revenue from intelligent cloud reached 27.4 Billion dollars rising from 25 Billion dollars last year. Innovation fuels growth in the computing and cloud industries. For any large technology business to grow, the brand must maintain its focus on innovation and continue to invest in research and development. Microsoft is working to stay ahead of its competitors in several areas including AI and Mixed reality. It is investing heavy sums in Research and development in these areas. Mixed reality is an area full of potential since it can dramatically change the world of gaming, firstline and knowledge work through providing immersive experiences. Cloud business being a fast growing area, the brand is investing in innovation heavily in a wide range of cloud based services. Microsoft’s R&D investment in 2017 equalled 13 billion dollars which was a billion higher than the investment it made previous year. Any brand that aspires to be world famous and rule the global market must build a strong brand image. Strong brand equity becomes a major support in the long term for any brand and in the technology industry, brand equity is a primary support that drives faster growth. These things are also related to the market position of a brand and its sales and profitability. Microsoft is a leading brand in the computing and cloud industry and over time has managed to create a very high level of trust among its customers that include individual customers, large and small businesses, government institutions and other players. A large range of Microsoft products aimed at maximising the productivity of its users is available in the global market. This has turned it into major name in the world of computing. The Windows OS and Microsoft Office are used across a huge number of computers and laptops globally. 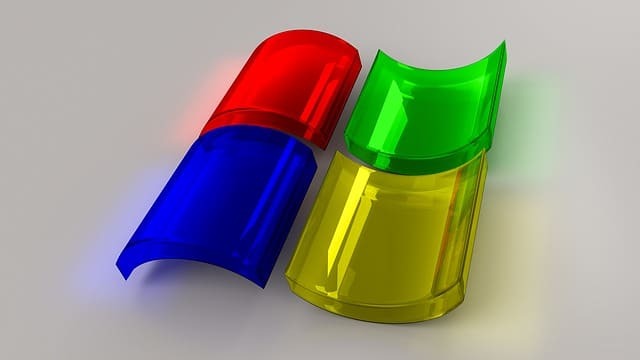 Microsoft software can help its users achieve very high degree of efficiency and productivity which has led to a high level of trust among Microsoft users whether individuals or businesses. The PC market has been through severe decline in the recent years fuelled largely by the rising sales of smartphones and tablets. A large number of major computing brands saw their market share shrink and sales taking a steep fall. Since Microsoft is a major provider of software and devices, it also found its sales being affected by the reducing sales of computers. If the sales of PCs using Microsoft software and Windows OS fans, it is going to hurt Microsoft’s profits. In this way, the decline in PC market has proved detrimental to Microsoft’s profitability. In the recent years, Microsoft has grown its investment in the area of R&D. However, when you compare it with its nearest competitors like Amazon and Apple, you will find its speed of innovation slower. Its search engine and browsers are also not as powerful as the ones cerated by Google. This is also a reason that its market share in the search and online advertising industry is much smaller compared to that of Google. Advertising revenue of Microsoft has grown in the recent years, but yet its share is much smaller compared to the other major players in the online advertising industry like Google and Facebook. Opportunities in IT industry are growing and several areas including AI present a large volume of matchless opportunities before the major technology players like Microsoft. Not just data and AI but the gaming industry is also full of opportunities and investing in innovation in these areas can help brands like Microsoft achieve growth as well as competitive advantage. Microsoft has made several acquisitions including Nokia in the past of which some were not highly fruitful. Recently, it acquired Linked In which proved a fruitful acquisition allowing it to connect with a larger customer base and linking it to new advertising opportunities. Such acquisitions and partnerships can prove great for a brand allowing it to expand its market and grow faster. Microsoft is financially strong and can make more acquisitions in future, however selectively. It must acquire only those businesses that add value to its core business. Such acquisitions can help it strengthen its competitive advantage in a fast changing technology environment. One important factor that affects the level of market penetration of any brand is its pricing strategy. Microsoft can further grow its presence in the world market by making its products and services more affordable. Reducing the prices or making lower priced packages available in the developing and underdeveloped economies can help it acquire higher sales and grow its market share. This will make the product widely accessible and help the brand find growth faster. The legal and regulatory environment has grown complex around the world. Even in US the businesses complain of a poor and outdated regulatory environment that hampers international expansion and faster growth. Technology industry has also seen concerns related to safety and privacy growing in the aftermath of the Facebook data scandal. Microsoft has incurred severe fines from EU in the past. Data related regulations are creating heavier pressures on businesses in the IT industry including Microsoft. Tech industry is witnessing fierce competition which has led to rising pressure on the technology brands. Apart from the competition from Apple and Google, the cloud players like Amazon, IBM and Oracle are also competing with Microsoft. Despite its large rage of products and services Microsoft is seeing heavy competition which has led to higher costs related to marketing, R&D and overall operational costs. The technology industry is undergoing a paradigm shift and the fast happening changes are making the situation more demanding than ever. With these changes, the preferences of the consumers have also kept changing. Brands have to retain their focus on marketing and innovation in order to retain their customer base and maintain a good consumer experience. This has led to higher operational costs and growth in pressures related to product innovation. Many times the speed of innovation in the computing and IT industry is so high that a brand may be forced to kill an idea even before its launch. Microsoft is fast growing, large and international technological brand led by CEO Satya Nadella. While the declining PC industry might have hurt its profitability, growth across the cloud businesses and gaming has more than made up for it. The brand is investing in innovation as well as growing its range of products and services so as to achieve faster and superior growth. However, Microsoft may need to grow its pace of innovation since the challenge from competition has grown a lot. To find faster growth the brand can invest in acquisitions or introduce lower riced packages for the developing and underdeveloped regions.